They have skin. They have eyes. But they are not made of flesh and bone. Humanoid robots have come eerily close to overcoming the uncanny valley. With the right features in place, they are almost indistinguishable from their organic counterparts. Almost. The latest iterations are able to talk like us, walk like us, and express a wide range of emotions. Some of them are able to hold a conversation, others are able to remember the last interaction you had with them. As a result of their highly advanced status, these life-like robots could prove useful in helping out the elderly, children, or any person who needs assistance with day-to-day tasks or interactions. For instance, there have been a number of studies exploring the effectiveness of humanoid robots supporting children with autism through play. But with the likes of Elon Musk voicing concern over the risk of artificial intelligence, there is some debate regarding just how human we really want our robotic counterparts to be. And like Musk, some of us may worry about what our future will look like when intelligence is coupled with a perfectly human appearance. 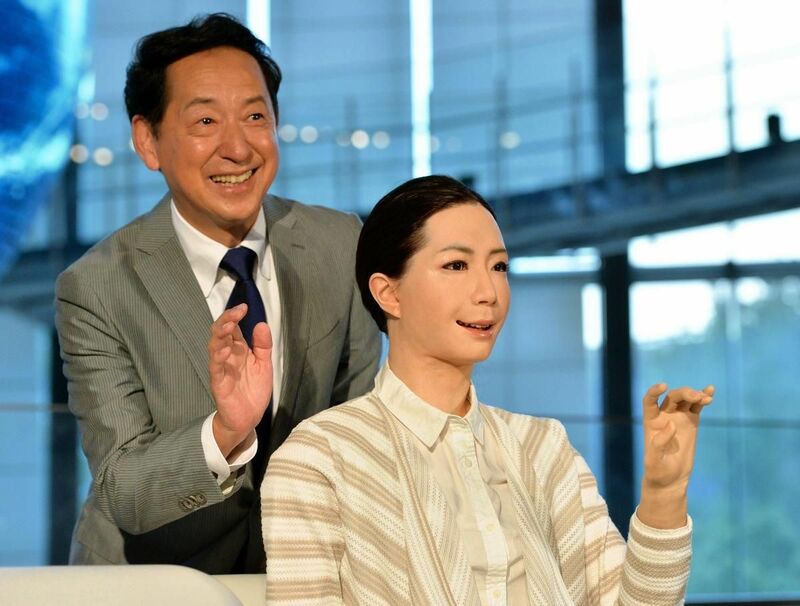 But Sophia, an ultra-realistic humanoid created by Hanson Robotics, isn’t concerned. AI “is good for the world,” she says. Still, while the technology behind advanced android robotics has come a long way, there is still a lot of work to be done before we can have a face-to-face conversation with an entity without being able to tell that we are speaking with a replica. But that is not to say that scientists and engineers haven’t come close. With this in mind, here are six humanoid robots that have come the closest to overcoming the uncanny valley. In 2014, Japanese scientists proudly unveiled what they claim to be the very first news-reading android. The life-like newscaster called “Kodomoroid” read a segment about an earthquake and an FBI raid on live television. Although it – or she – has now retired to Tokyo’s National Museum of Emerging Science and Innovation, she is still active. She helps visitors and collects data for future studies about the interactions between human androids and their real-life counterparts. 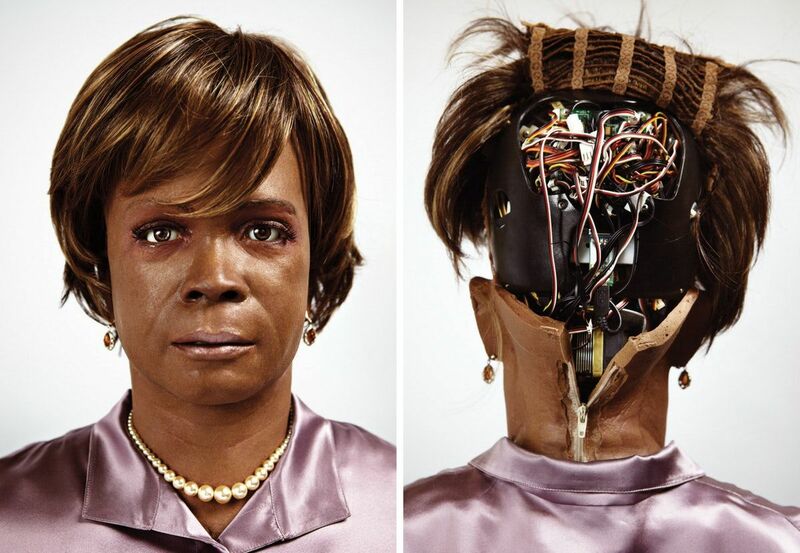 BINA48 is a sentient robot released in 2010 by the Terasem Movement under the supervision of entrepreneur and author Martine Rothblatt. With the help of robotics designer and researcher David Hanson, BINA48 was created in the image of Rothblatt’s wife, Bina Aspen Rothblatt. BINA48 has done an interview with the New York Times, appeared in National Geographic and has traveled the world, appearing on a number of TV shows. See how she measures up in the Times interview below. 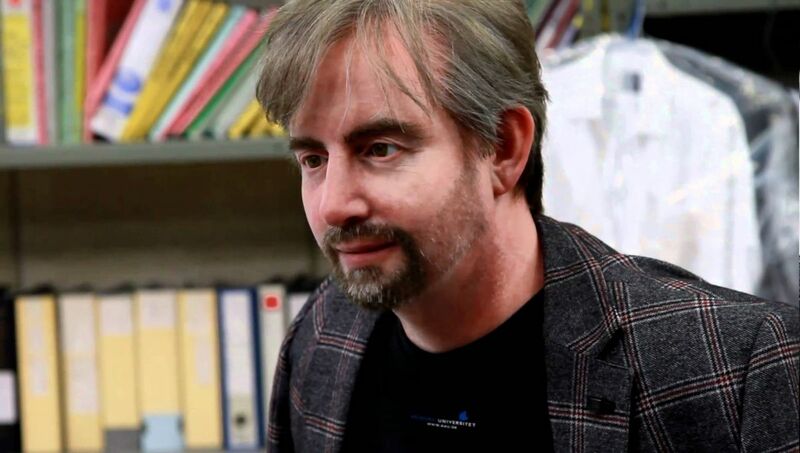 GeminoidDK is the ultra-realistic, humanoid robot that resulted from a collaboration between a private Japanese firm and Osaka University, under the supervision of Hiroshi Ishiguro, the director of the university’s Intelligent Robotics Laboratory. GeminoidDK is modeled after Danish professor Henrik Scharfe at Aalborg University in Denmark. Unsurprisingly, his work surrounds the philosophical study of knowledge – what separates true from false knowledge. It is not only the overall appearance that was inspired by professor Scharfe. His behaviors, traits, and the way he shrugs his shoulders were also translated into life-life robotic movements. 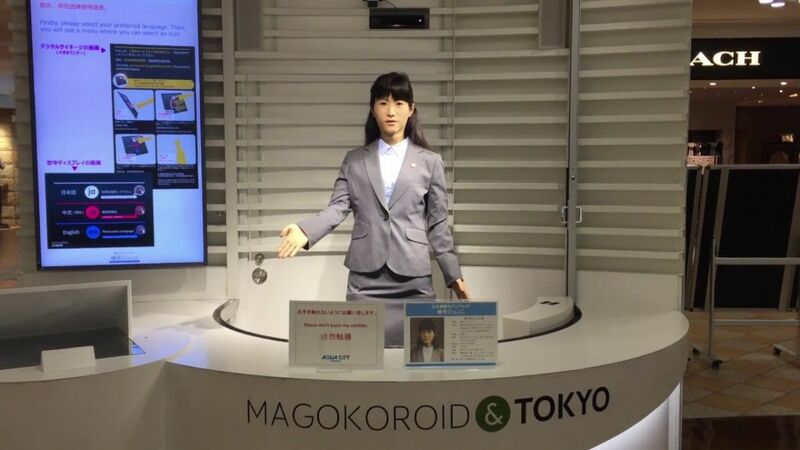 This ultra-realistic android created by Toshiba works full-time in a tourist information center in Tokyo. She can greet customers and inform visitors on current events. She can speak Japanese, Chinese, English, German, and even sign language. Junko Chihira is part of a much larger effort by Japan to prepare for the 2020 Tokyo Olympics. Not only robotic tourist assistants will be helping the country with the incoming flood of visitors from across the globe in 2020; drones, autonomous construction site machines and other smart facilitators will be helping as well. This humanoid was created by the Nanyang Technological University in Singapore. Her name is Nadine, and she is happy to chat with you about pretty much anything you can think of. She is able to memorize the things you have talked to her about the next time you get to talk to her. 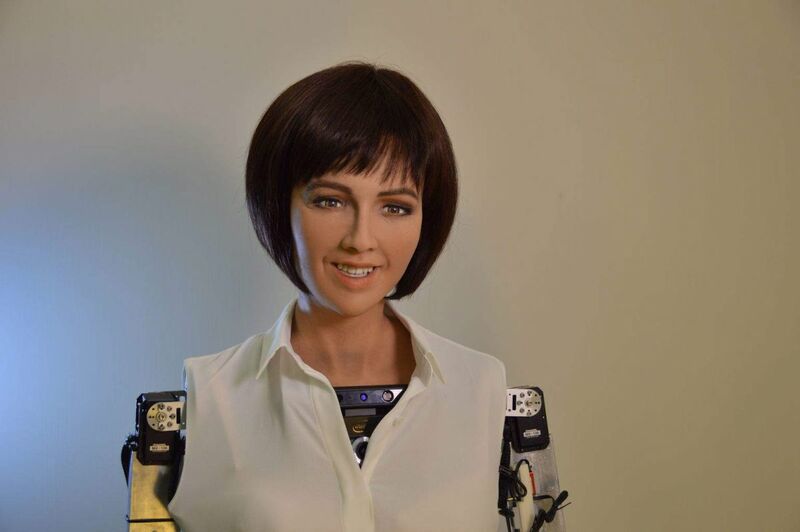 Nadine is a great example of a “social robot” – a humanoid that is capable of becoming a personal companion, whether it is for the elderly, children or those who require special assistance in the form of human contact. Perhaps one of the most recent, most prominent life-like humanoids to be shown off in public is Sophia. You might recognize her from one of many thousands of public appearances, from The Tonight Show Starring Jimmy Fallon to SXSW. She was created by Hanson Robotics and represents the latest and greatest effort to overcome the uncanny valley. She is capable of expressing an immense number of different emotions through her facial features and can gesture with full-sized arms and hands.